Discipline has always played an important role. Be it on the football pitch, or off it, football is considered one of the most passionate games in the world, and in the midst of it being an extremely fortified sport, it comes with the kind of drawbacks that a player cannot think of. A contact sport, football offers more injuries than any other team sport can ever garner. We have seen the likes of Luis Suarez and Sergio Ramos, who have had their fair share in terms of getting the biggest punishment on the pitch. The disciplinary factor always plays an important role in a footballer’s career. However, there are always the ‘chosen ones’, as we like to call them, who have never really done anything to be victimised by a referee, or have not said anything unusual to anybody. These lads have never been red carded, suspended or sidelined due to any kind of unethical disciplinary behaviour, as all they have done is play the beautiful game. Here are our 4 picks for some of the biggest names in the sport’s history, who have never received a red card by any means. Often considered as one of the most underrated midfielders in the world, Moutinho was one of the major reasons behind Portugal’s UEFA Euro success back in 2016. He spent most of his career playing for teams like AS Monaco and Sporting CP and was never really a problem for the referees on the pitch or for the opposition. With a total of 47 yellow cards, playing for multiple teams, the Wolverhampton midfielder surprisingly has never fallen prey to a referee’s red card. Strange as it is, Moutinho has never had any sort of disciplinary issues, as the number of yellow cards the Portuguese maestro has picked is all due to his position being extremely demanding. One of the most decorated strikers in the world, Benzema has had several accolades registered in his trophy cabinet, both individually and for his very own team. With a little over 400 appearances for the current Real Madrid side, the Frenchmen has had a splendid career in terms of being one of the most consistent goal scorers of the modern era. His personal life might just be filled with a lot of controversies, but his tenure on the football field has only been about scoring goals and playing good football. With only 8 yellow cards and no red cards at all, Benzema has been one of the most disciplined players in Real Madrid’s squad. The Frenchmen’s calm composure has had us all wondering, as his position as a striker is more challenging than ever. Regarded as one of the greatest Spanish players of all time, Raul is a culmination of everything. A world-class goalscorer, a true leader and record setter by all means. A footballer filled with experience, Raul was the so-called ‘calm one’ on the pitch. Resilient as he was, the former Spanish International was always seen shying away from chaotic situations on or off the pitch. A humble human being, the Spaniard had no disciplinary issues in his 17-year career, having held the distinction of receiving no red-cards at all. Disciplined as he was, multiple football players and managers did try to provoke the Spaniard, but maintaining his composure and calmness, Raul walked out of all those situations. 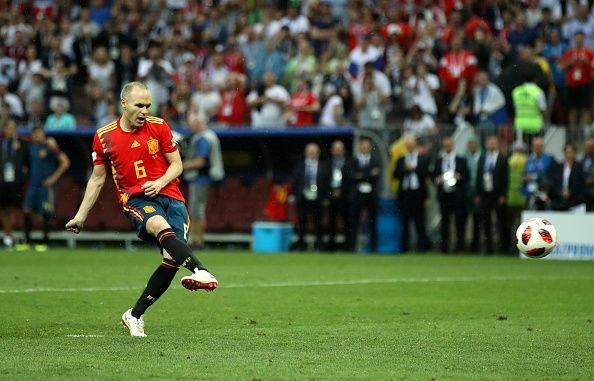 One of the greatest midfielders of all time, Iniesta along with his former teammate Xavi Hernandez has been one of the pioneers in developing the ‘golden generation’ of Barcelona’s dominance. With 4 Champions League titles in a decade and almost 32 major trophies, Iniesta has been the most consistent and agile player Barcelona has ever produced. The Spanish International’s record as an extremely clean footballer goes without saying, as he was liked by both the opposition and match officials. Giggs has had the second most number of appearances in the Premier League history, with a staggering number of almost 620 matches, the Welshmen is one of the most celebrated and decorated footballers in the history of Manchester United. 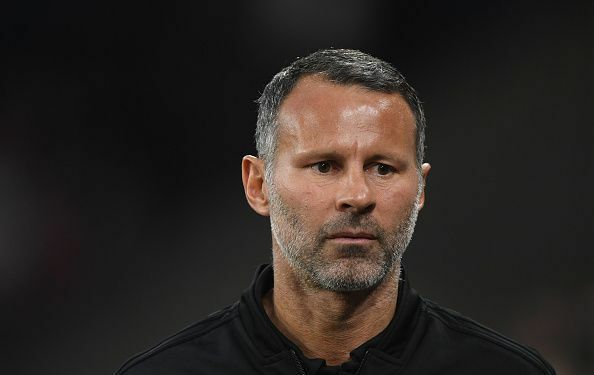 A leader, supporter and the pivot for his side, Giggs is one of the football players who has had more accolades than most of the players in his generation. With over 24 years playing as a professional footballer, the former Manchester United maestro never saw a single red-card in his splendid career for the club. An extremely talented henchman, Giggs’ disciplinary factor had been one of his weapons when it came to winning titles for his team. However, he did get sent off once in a outing for the Welsh national team as he received two yellow cards.